The tab 'Internship' contains information about your intern status. Here, you're asked to indicate whether you're actively seeking or not. Among other things, this information is used by intern supervisors at your educational institution. Also, if companies can look for interns among resumes at your school, your intern status is crucial if they are to find you. The most important part of the internship tab is that you fill out your internship wishes as a job agent is created on the basis of these wishes. This job agent will automatically notify you when there are new internships that match your wishes. In some instances, you can select group/class in the internship tab. Indicate which group/class you're in. 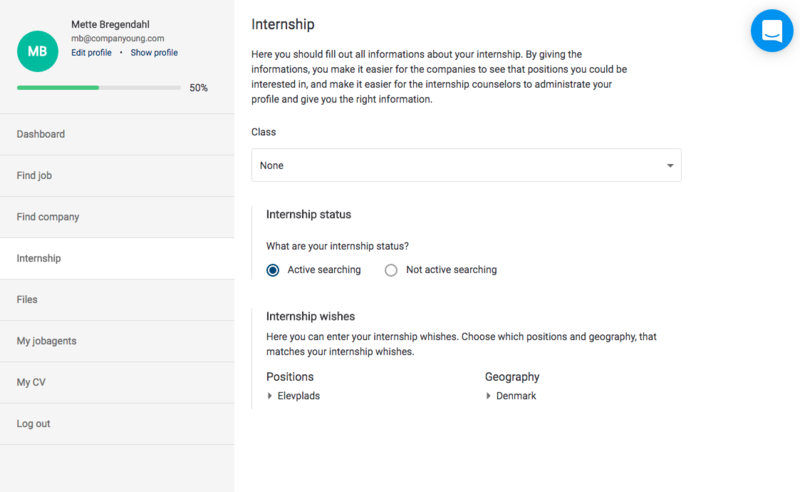 This makes it easier for intern supervisors to help you find an internship.